Hi people, another post of my “ALL About” Series (the last before Christmas! …and the last of the year I think). “User Personalization & Web Client: “Personalize your workspace directly in the browser”. “Today it is really possible to configure the Web Client as you want (configure by Browser), it has become a desktop interactive whiteboard where you can customize almost everything. With new Dynamics 2018, there is a lot of improvement in a Web Client. You can customize, or personalize, your workspace to suit your work and preferences by changing the layout of pages so that they display only the information you need, where you need it. The personalization changes that you make will only affect what you see, not what other users see. 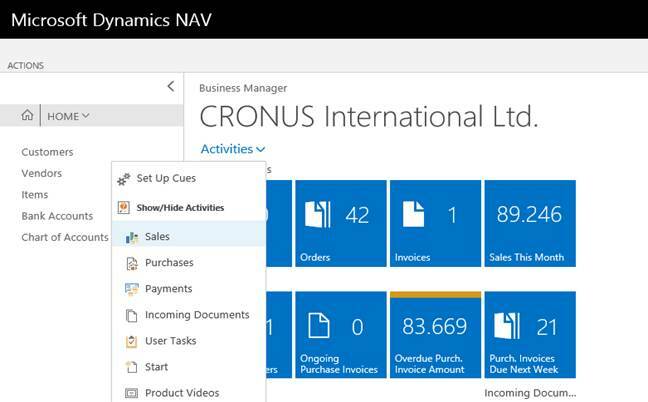 You can personalize your workspace by using the Microsoft Dynamics NAV Windows and Microsoft Dynamics NAV Web client. 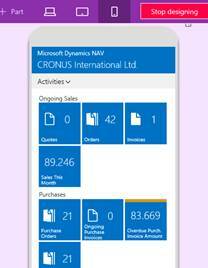 The personalization changes that you make will also be seen in the Microsoft Dynamics NAV Phone client. · Add, move, and remove fields. · Add, move, and remove columns in a list. · Change the freeze pane of columns in a list. The freeze pane locks one or more columns to the left side of a list so that are always present, even when you scroll horizontally. · Move and remove Cues (tiles). · Move and remove parts. 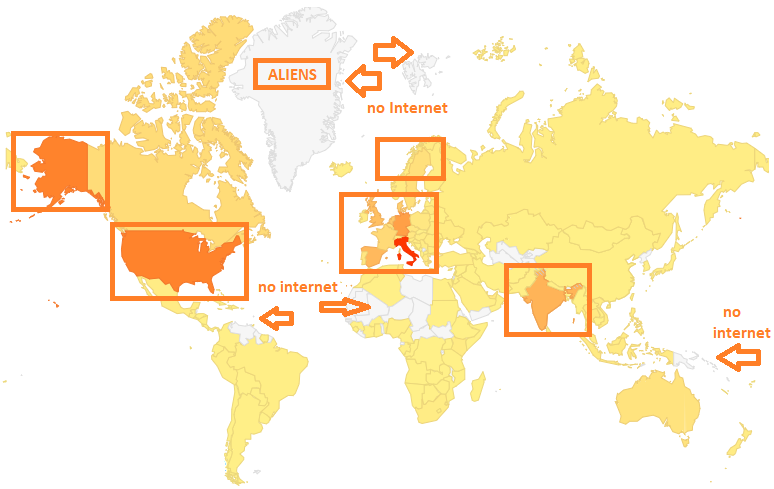 Parts are subdivisions or areas on a page that contain things like multiple fields, another page, a chart, or tiles. Depending on the page, you can personalize many parts of the user interface, such as what fields or columns are shown and where they are placed, what actions are included on the ribbon, and more. Many of these things you can do in both the Windows client and Web client. The following table provides an overview of the personalization capabilities in each client. Before you start personalizing pages, it is important to understand how the personalization between the Window client and Web client works. If you will only ever use either the Windows client or the Web client, this information is not so relevant. However, it becomes important if you begin to personalize pages using both clients or when transitioning from using the Windows client to using the Web client permanently. 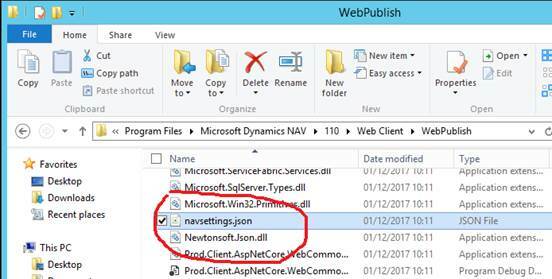 · If you use the Windows client to personalize a specific page from the start, you will also see the personalization changes to the page in the Microsoft Dynamics NAV Web client as well. · From this point on, you will personalize the page in the Windows and Web client independent of each other, which means the page can potentially look different in each client. The Phone and Tablet clients will show the same page personalizations as the Web client. If you want to disable personalization in the Web client, remove this line. 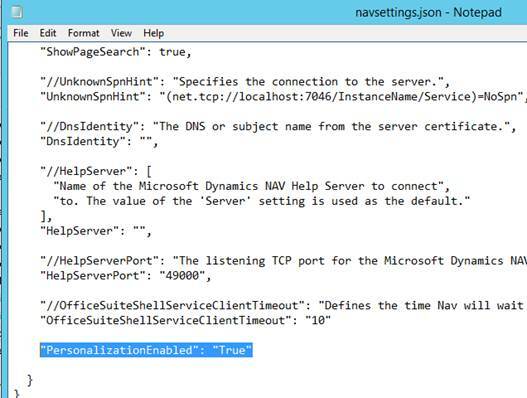 For more information about how to modify the navsettings.json file, see Modify the navsettings.json file directly. In the upper-right corner, select your avatar, and then Personalize. The Personalizing banner appears at the top, which indicates that you can start making changes. If you do not see the Personalize action, then personalization has not been enabled. Contact to your administrator or see Enabling or Disabling Personalization in the Microsoft Dynamics NAV Web client for information about how to enable it. 2. Go to a page that you want to personalize. If there is a icon in the banner: LOCKED, see Why the Page is Locked for more details. If there is a icon, you cannot personalize the page because it has been configured by an administrator. Point to an area that you want to personalize, such as a field or column header in a list. Anything that you can personalize is immediately highlighted with an arrow or border. Move something, like a field, column in list, tile, or part Point anywhere on what you want to move, and drag it to its new location. The location is indicated by either a thick horizontal or vertical line. Remove something Select the arrowhead, and choose Remove. Add a field or column In the Personalizing banner, choose More, and then choose Field. The Add Field to Page pane opens on the right. It lists the fields that you can add to the page. Fields marked as Placed are already on the page. Fields marked as Ready are not currently on the page. To add a field, drag it from the pane to the location that you want it. The location is indicated by either a thick horizontal or vertical line. Change the freeze pane in a list to another column Select the arrowhead of the column that you want as the last column of the freeze pane, and then choose Set Freeze Pane. If you want to set the freeze pane back to its original designed location, select the arrowhead for the current freeze pane column, and choose Clear Freeze Pane. Note: You cannot remove original freeze pane. There will always be a freeze pane that includes at least one column. You cannot make changes to a list if the list is shown as tiles. You must first switch the page to the list view by selecting the icon. You can continue to make changes on the same page or move to another page. Your changes are automatically saved as you make them. When you are done, in the Personalizing banner, choose Done. To help you better understand personalization, here are some pointers. · When you make changes to a card page that you open from a list, the changes will take effect on all records that you open from that list. For example, let us say you open a specific customer from the Customers list window, and then personalize the page by adding a field. When you open other customers from the list, the field that you added will also be shown. · Changes that you make will take effect on all your Role Centers. For example, if you make a change to the Customer list when the Role Center is set to Business Manager, you will also see the change in the Customer list when Role Center is set to Sales Order Processor. · Changes to a page in a pane will take effect on the page where ever it is shown. · You can only add fields and columns from a predefined list, which is based on the page. à You cannot create new ones. 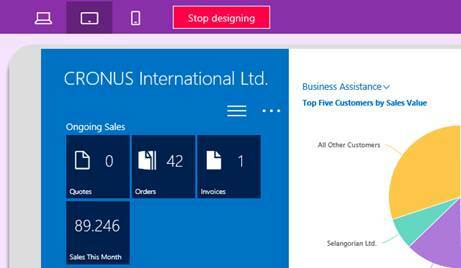 What do you mean whith settong an X in Ribbon & actions and Navigation Pane in web client. To my view they are both not personnalizable in web client?